At the start of my year-long Powered by Me adventure, I had my one and only trusted bike. A bodged together Focus frame, with a small set of gears and only one brake on the front (I know, I know). It had got me to Loughborough, Nottingham, Bordeaux, Dorset (and back) to name just a few, and before I knew it, I had travelled over 6,000 kilometers on the trusted thing (and before you ask, no, it didn’t have a name). On a Friday evening in August, I met some friends for a drink in the Tatteshall Castle, a boat on the Thames near Embankment. Sipping prosecco for a few hours, catching up with friends, I was non-the-wiser that at the same time, across the road, some punk was thieving my one and only bike. I was absolutely gutted. At first, I thought the council had taken it away, as I had chained it up near a sign that said ‘bikes here will be removed by the council.’ It was a sad and lonely walk back home to Bermondsey, fueled with rage, if only the thieves had known what this bike had been through! After a call to the council, they confirmed that it wasn’t them. I then reported it to the police and posted it on Stolen Ride, a company who share stolen bike posts and give advice on bike safety. However, I wasn’t hopeful knowing how bike theft is so common in London and quickly made plans to borrow a bike in the meantime. The next day, I made plans to borrow my friend Anna’s fiance’s bike. Ed said he wasn’t riding it much and said I could borrow it for as long as I needed. 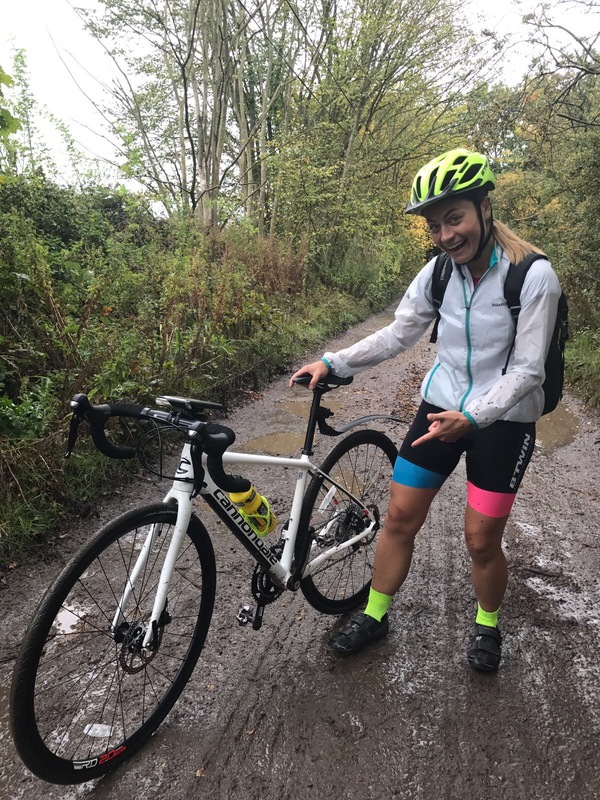 And I desperately needed a bike, as the weekend after I was going to Shambala festival in Northampton, and was pretty certain I wouldn’t be running! After running to Mile End to meet Anna and Ed, I had a bike in my hands and instantly felt more relaxed – I now had my one and only mode of transport back (for long distances anyway). The next weekend, I was putting in the mileage in after riding to and from Northampton to spend the weekend at Shambala festival, a total of 250 kilometers. It took a bit of adjusting to ride someone else’s bike, but before I knew it, it just felt normal to me. On another Friday night, sipping prosecco in London Fields with my friend Rogit, I was non-the-wiser that another punk was thieving Ed’s bike! Yes, you heard it, I was the victim of not 1, but 2, bike thefts in just 2 weeks. I couldn’t believe it. Both bikes had been well locked, with a cable tie and 2 d-locks. I guess I was just having a string of really bad luck. Worst of all, I was drunk, filled with complete rage, and on the other side of London to home. After saying farewell to my friends, knowing I wasn’t much company, I begun my long part-walk, part-Santander cycle back to Bermondsey, knowing tomorrow was a new day. Now, don’t get me wrong, it took me several weeks to get over my 2 bike thefts, but I had to stay positive knowing there’s a silver lining – a new set of wheels at some point! After several friends and family saying I should crowd fund for a new bike, I decided to do it. All I needed was a few hundred quid to get myself back on the road and within 24-hours of setting up the crowd funding page, my generous supporters had raised £300. I couldn’t believe it! After all these months of asking people to donate to the various charities I was fundraising for, I never dreamed that these generous people would also be giving to me. With their generosity, I was back on the road pronto, with a ‘hot pink’ Falcon bike that I hoped would deter the thieves as it looks like a child’s bike! It’s working well so far. As well as my new hot pink bike, I decided to venture further afield and sign up to the Cycle scheme, to get a second bike. I couldn’t believe I’d never used this scheme before. You spend up to £1,000 on a bike, or bike-related stuff and pay no tax. Even better, the money is deducted from your pay monthly, over a 12-month period. It’s a budget and efficient way of getting a new set of wheels and it also meant I was buying a pretty decent bike, which I’ve never done before! I felt like a kid in a sweet shop. Shiny, new wheels, which I knew would be taking me to far away places in the future. The silver lining was in full swing. Despite having 2 bikes stolen in 2 weeks, after a few months, I was now the proud owner of 2 bikes. My second bike is a Canondale Hybrid bike that I got at Swift Cycles in Liverpool St after an intense bike assessment and fitting, where they fit you for the right bike, saddle and so forth, well worth the investment as now I have my stats pack for life whenever I go bike shopping. During November, I am fundraising for The Royal British Legion. Please give what you can to this fantastic charity who go above and beyond to support those in the Armed Forces and their families. Donate to The Royal British Legion now for Powered by Me month 11.